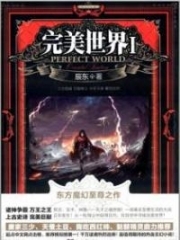 You’re reading novel The Demonic King Chases His Wife: The Rebellious Good-for-Nothing Miss Chapter 985 online at LightNovelFree.com. Please use the follow button to get notification about the latest chapter next time when you visit LightNovelFree.com. Use F11 button to read novel in full-screen(PC only). Drop by anytime you want to read free – fast – latest novel. It’s great if you could leave a comment, share your opinion about the new chapters, new novel with others on the internet. We’ll do our best to bring you the finest, latest novel everyday. Enjoy! Seeing such a weak Su Luo, Nangong Liuyun could feel his eye sockets go sour. At this time, Nangong Liuyun was so regretful that he almost punched himself to death. Just when Nangong Liuyun was feeling remorseful and ashamed, Fairy Yan Xia laughed gloomily and coldly, as she thrust a long double-edged sword towards Su Luo's body! Nangong Liuyun was carrying Su Luo, so if the sword pierced through Su Luo, it would certainly also injure Nangong Liuyun. This was killing two birds with one stone. Fairy Yan Xia had come up with a good plan. From the start to the finish Nangong Liuyun had never lowered his guard against Fairy Yan Xia. While carrying Su Luo, he whirled his body around and avoided the old witch Yan Xia's attack. Nangong Liuyun took out a Life Replenishment Pill, squeezed it into Su Luo's mouth and forced her to swallow it. Then, he place her underneath a large tree. Afterwards, he straightened his back and slowly turned his body around. Without saying a word, he immediately executed a killing move. 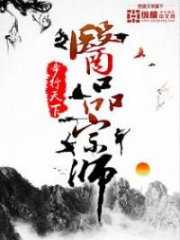 Nangong Liuyun's long double-edged sword danced in the wind, interweaving many exquisite moves. Fairy Yan Xia also had an extremely cold long double-edged sword, a long double-edged sword that was like a clear spring, s.h.i.+ning brightly. Nangong Liuyun's expression was like that of an avenging king, his ink black long hair danced wildly behind him. His eyes were deeply crazy as he swung that long double-edged sword incessantly. The tip of the double-edged sword sparkled, leaving behind many afterimages. The other had the potential to be promoted as the new generation's king of strong experts. The two people flew higher and higher. This area of heaven and earth was ruptured again and again by the two people's sword energy. Boulders rolled and fell down. Nangong Liuyun continuously hacked out twenty-one killing sword moves, full of unstoppable power. Fairy Yan Xia's face contained a sneer, then suddenly, the double-edged sword in her hand heavily slashed towards Nangong Liuyun. This move contained the strength of heaven and earth, like claps of thunder that weighed one hundred and fifty kilograms. "Bang, bang, bang! Ssss, Ssss, Ssss!" Sword interweaved with sword, an electrical spark suddenly appeared. The swords of the two experts finally clashed, determining who was superior. Nangong Liuyun's sword was being pressed to the bottom. The blade was being fractured, centimeter by centimeter, finally it turned into fine powder. The sneer in Fairy Yan Xia's eyes became increasingly stronger. She used more power in her palm, and it acc.u.mulated strong and ferocious spiritpower, then she suddenly sent the palm strike towards Nangong Liuyun's chest! Nangong Liuyun had already been prepared for this. Subsequently, his large palm strike also arrived. The two people exchanged endless number of palm strikes in midair; there were no less than six thousand six hundred thirty six palm strikes! The final palm strike, Fairy Yan Xia's eyes darkened as she exerted all of her strength. Heaven and earth changed color because of this. The mountains trembled and an endless stream of boulders tumbled down the overhanging cliff. After sending out this palm strike, Fairy Yan Xia stood motionless where she was, and the corner of her mouth had a sneer. This heavy punch hit Nangong Liuyun and he retreated back a few steps, before his figure was finally able to stabilize. "Puft——" Nangong Liuyun's figure swayed slightly and a mouthful of blood sprayed out from his mouth. Seeing Nangong Liuyun's body suffer such a serious injury, the expression in Fairy Yan Xia's irises became increasingly more excited. Nangong Liuyun's innate skill was outstanding. This sort of genius talent, it was fine if he hadn't met her, but he just had to be her enemy. How could she let him grew to maturity, then threaten her position? 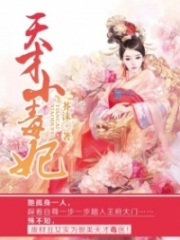 At this time, the murderous intent in Fairy Yan Xia's eyes were hardly concealed. "Nangong Liuyun, the strongest among the younger generation. Tsk, tsk, now, it seem your turned out to be merely this strong." She sneered and snorted. "Old witch, could it be that you are certain you will win?" Nangong Liuyun's gaze was indifferent while the corners of his mouth hooked into a demonically charming grin. His vermillion lips were moistened with a b.l.o.o.d.y red color, making him even more prominently enchanting and mysterious. Fairy Yan Xia's eyes carried somewhat of a sneer: "Tsk, tsk, you're merely a ninth rank, yet you dare to be this arrogant?" "Ninth rank? Very quickly, I won't be that anymore." Nangong Liuyun wiped away the bloodstain at the corner of his mouth and a sly radiance glinted in his eyes. 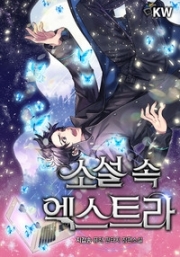 You're reading novel The Demonic King Chases His Wife: The Rebellious Good-for-Nothing Miss Chapter 985 online at LightNovelFree.com. You can use the follow function to bookmark your favorite novel ( Only for registered users ). If you find any errors ( broken links, can't load photos, etc.. ), Please let us know so we can fix it as soon as possible. And when you start a conversation or debate about a certain topic with other people, please do not offend them just because you don't like their opinions. You're reading The Demonic King Chases His Wife: The Rebellious Good-for-Nothing Miss Chapter 985. This novel has been translated by Updating. Author: Su Xiao Nuan,苏小暖 already has 12356 views. Current Time is Apr-19-2019 20:49:54 PM.